It's been said, we speak to ourselves, in our minds, at the rate 1,300 words per minute - making constant assessments and judgments, often filtered through sinful and selfish agendas. In fact, writes Shelly Beach, women acknowledge that they are particularly vulnerable to this temptation and dangers of self-talk as they compare and judge themselves against others. In The Silent Seduction of Self-Talk, Beach provides a readable narrative and practical tools to help readers surface the inner conflicts that churn below the waterline of their awareness. These dialogues can make them blind to the scriptural truth that the vision they hold of themselves and the reality of their walk in Christ are often polar opposites. Shelly explores real-life examples and includes tools to assist in the spiritual disciplines of self-assessment, repentance, commitment, and transformation. Beach's book was a bit hard to read - not because of the writing style, but because of the subject matter. 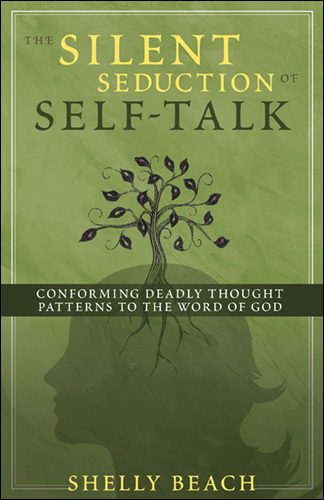 Mixing personal experiences with Biblical insight, Beach explores the lies that swirl in many minds through self talk.One chapter specifically delves into the five lies that Satan uses in the negative self-talk: Gagging God, Opposing God, Outwitting God, Equaling God and Yielding to My Dreams. While the book wasn't the easiest to read, it will make you stop and think about the words which swirl through your mind - and if those words will affirm your life, or in fact, pile you underneath a tremendous weight of lies and deceit. The book, hopefully, will help you re-examine and renew the words that swirl through your head, so that you can transform your negative self-talk into a positive, life-affirming talk that can come, only through the love of Jesus Christ. 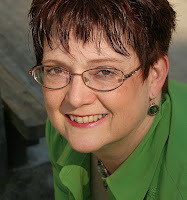 Shelly Beach is the author of both fiction and non-fiction. She also serves as a speaker on topics as wide-ranging as self-talk, caregiving, writing and the journey of faith in Christ. Her first novel, Hallie’s Heart (Kregel Publications), won a 2008 Christy Award for contemporary fiction in the Lits category. The book explores topics of forgiveness and self-condemnation through the eyes of Mona VanderMolen and her fifteen-year-old niece Hallie, who believes she’s responsible for the accidental drowning of her younger sister. The sequel to Hallie’s Heart, Morningsong, was release in March of 2009.In this book, Mona, Hallie, and Mona’s sister Ellen’s lives are forever altered by the secret of one man. Beach speaks across the country at retreats, seminars, schools, caregiving and writing conferences. I’m a member of the Christian Authors’ Network, the Advanced Speakers and Writers’ Association and the American Christian Fiction Writers. A twenty-five year veteran of the classroom, Beach is also an adjunct professor at Cornerstone University. Beach and her husband Dan have two adult children. She jokes that at every available opportunity, Beach and her husband are out together on our Harley Ultra Classic, "with the wind in our hair and the bugs in our teeth."